Florida, Aug 12 (Just News): US space agency Nasa has launched its mission to send a satellite closer to the Sun than any before. The probe is set to become the fastest-moving manmade object in history. Its data promises to crack longstanding mysteries about the Sun's behaviour. It is the first space craft to be named after a living person - astrophysicist Eugene Parker, 91, who first described solar wind in 1958. "Wow, here we go! We're in for some learning over the next several years," he said after watching the lift-off from the scene. The University of Chicago professor said he had been biting his nails in anticipation. 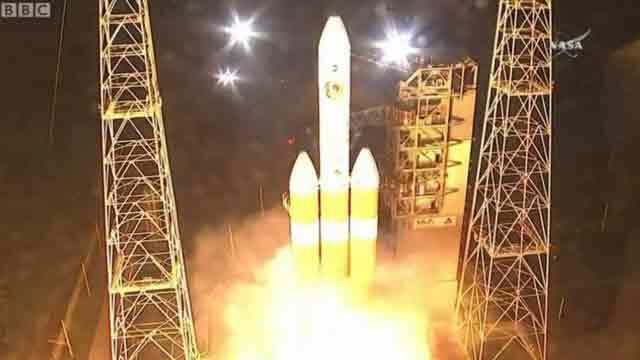 The Delta-IV Heavy rocket - which was carrying the probe - launched at 03:31 local time (07:31 GMT). The probe will dip inside this tenuous atmosphere, sampling conditions, and getting to just 6.16 million km (3.83 million miles) from the Sun's broiling "surface". "I realise that might not sound that close, but imagine the Sun and the Earth were a metre apart. 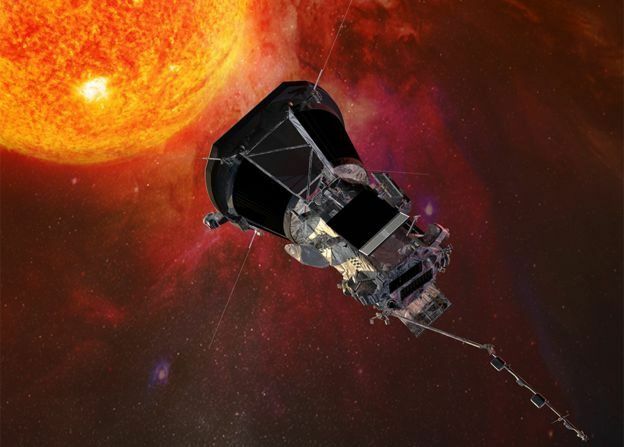 Parker Solar Probe would be just 4cm away from the Sun," explained Dr Nicky Fox, the British-born project scientist who is affiliated to the Johns Hopkins Applied Physics Laboratory.